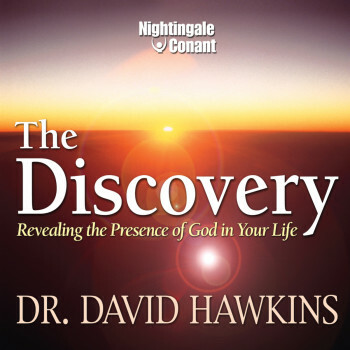 Now, Dr. Hawkins, the creator of the spiritual power breakthrough that allows you to reach enlightened states using the well-established science of muscle-testing, has created his most transformational program yet. Feel the presence of God in the “ordinary” moments of your life. Begin to practice contemplation — a more effective form of spiritual awakening than meditation — in your daily life. Let God play an active role in shaping your daily life. Discern false teachers from those who will truly help you. Avoid some of the dark, spiritual traps on your journey. Undo and unload your mind so you can awaken to the existing enlightenment that is already in and around you. Deal with the demands that modern life makes on you as you seek to follow the inner/spiritual pathway. Give up your ego’s addiction to what it perceives to be the world. The Discovery lifts a veil in your consciousness to reveal a world of magical divine realities that are happening to you every day of your life. By practicing Dr. Hawkins’ ideas, you won’t merely “know about” spiritual realities by reading the works of great spiritual mystics, you will “know” that such spiritual realities exist.